Subscapularis is a muscle which is present on front side of shoulder. It is one of the rotator cuff associated with movement. It is the strongest muscle and the largest one too. Subscapularis muscle provide 53 % strength to the cuff. 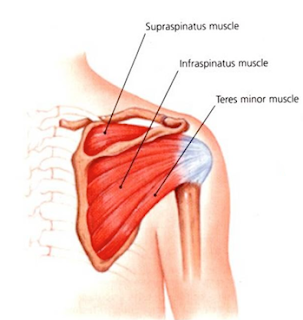 As it is present on front side of shoulder, the main function of Subscapularis muscle is to move the arm inward and lifting high weights against chest and twisting around arm. A tear when occur in Subscapularis muscle is known as Subscapularis tear or rotator cuff tears. The formation tear in this muscle is very painful and sometimes unbearable. There are 3 tests which are performed to diagnose Subscapularis tear. Bear-hug test: in this test the affected hand of patient is placed on X shoulder and lift it up by the physician and then relax it back on its original position. Performed on both standing and sitting position. Belly-press test: in this test the affected arm is put on X elbow and the examiner tries to pull away patient’s arm and the patient have to resist. Gerber’s lift off test: in this test the arm of the patient is lifted up above the level of head by the examiner. Arthroscopic repair: the arthroscopic surgery is done to repair full or partial thickness of Subscapularis tear. In this operation a camera is used to visualize the site and suturing is performed by using arthroscopic equipment. Open surgery: in this surgery, the incision is made openly on skin surface to expose the injured tendon. Damaged tendon is sutured as it is under the effect of local anesthesia. If both of the procedure do not work, then shoulder joint replacement is done. The arthroscopic surgery is considered best treatment option and recovery with this surgery is very fast if it is done correctly. Recovery depends upon the condition, the depth and length of the tear. The average time required to fully recover from Subscapularis tear is 6 to 12 months. But it is only possible if the patient wear sling for some weeks. After that the patient have to go through physical therapy which will strengthen the muscles. Depending upon the recovery speed patient is allowed to take part in sports. Exercises are involved in physical therapy. Physical therapy is done before surgery to avoid the chances of surgery, and after the surgery when the 1st 4 critical weeks get passed. With physical therapy, the recovery is fast and guaranteed. Exercises include are active and passive exercises along with stretching and bending of arm. After that weight lifting exercises are performed to strengthen the muscles of arm. The main exercises are shoulder pendulum, stretching and bending of shoulder and lift up muscles exercises. All the exercises should be done under the supervision of physiotherapist.